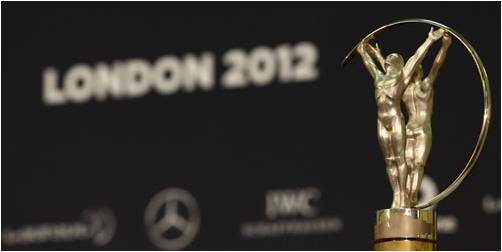 The Laureus Sports Awards are essentially the sporting equivalent of the Academy Awards. They have been around for 13 years now and are the only awards that pit the best of every sport against each other! So let’s get the negative out the way. Supersport have rights to show the Awards as they showed them this morning at 7 am, but with a South African nominated, they couldn’t show the awards live, but rather showed a replay of a 6 nations game? I have tweeted to @supersportblitz and @supersportcom and neither bother with a reply! 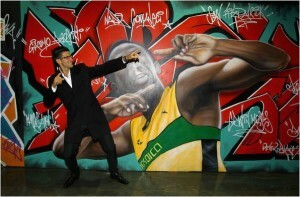 Anything Usain can do, I can do, um, better? This was always only a two-way race between Djokovic and Vettel, but as we have previously stated, Djokovic was the worlds best last year. He is the 6th tennis win in this category in the 13 year history and in a time when Federer and Nadal are playing, it just shows how dominant he really is. He must surely be on his way to a nomination again next year! 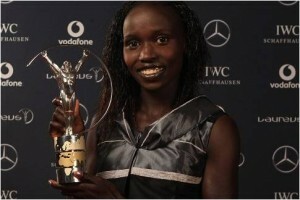 I must ashamedly admit that I had never heard of Maria Hofl-Riesch or Carmelita Jeter before, but Vivian Cheruiyot, a Kenyan, was outstanding this year. She won gold medals at the World Championships for both the 10 000 and 5 000 distances and will be a front-runner (what a pun!) for the Olympic gold. I hate Barcelona. You all know this. They won the Laureus Award for winning a two team league, for winning the Champions league and for being douche bags all round. They definately promote the good of sport by the way they tap players up and dive and fain injury! Minus Lionel Messi they would finish 4th in La Liga. Sorry I couldn't be there, but I'm dating Caroline Wozniaki! 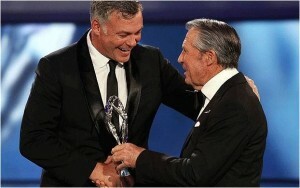 Darren Clarke was awarded the prize for his win at the Open Championship at the age of 42. This came after years of impotent performances where he constantly missed out. His victory against the odds is what one him this award. I however feel that this award should be more for people or teams that have faced mass adversity and risen to the top. 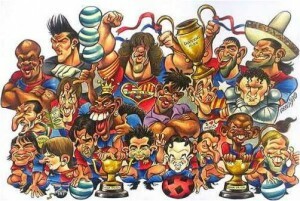 And that’s why. . . .
Jabu’s Pick: is Eric Abidal. He is the only good thing about Barcelona and his recovery is something you couldn’t help but get a lump in the throat for! There was always only going to be one winner in this category. 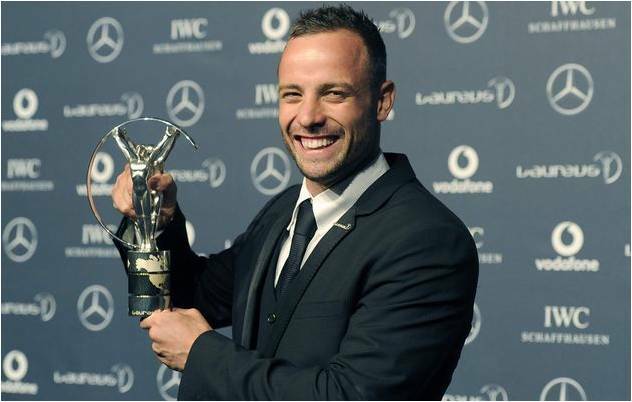 When Oscar Pistorius went to the World Championships he was already a winner, but when he came home with a medal he was a world name (although in fairness he already was). He is now the third South African to win this award after Ernst van Dyk and Natalie du Toit. We are super proud of the blade runner here in South Africa! Kelly Slater emulated the great Roger Federer by taking home his fourth Laureus sports award. 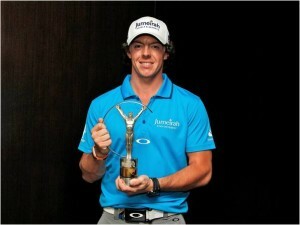 We named him as one of the 2011 sports stars of the year in our end of year review. He won an unprecedented 11th world title and when he should be fading into the twilight of his career, Kelly keeps getting better. Jordy Smith we await your response! Having won the World Cup with England in 1966, he had an incredible career with Manchester United playing for them 606 times and scoring 199 goals. He played an incredible 106 games for England scoring 49 goals. And he was mainly seen as playmaking midfielder. 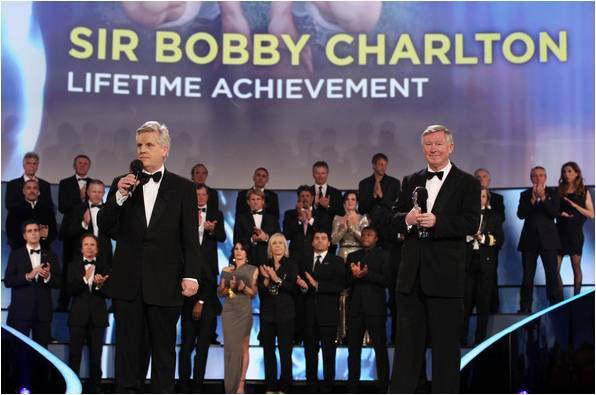 Congratulations on your lifetime achievement award! 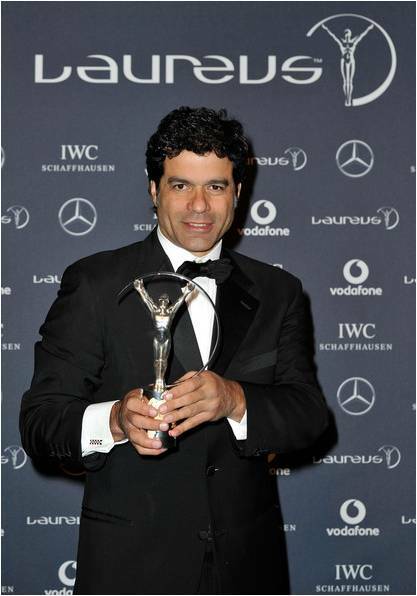 Rai won the spirit for Good Award due to the fact that the former Brazilian international is a campaigner for social justice and philanthropy.